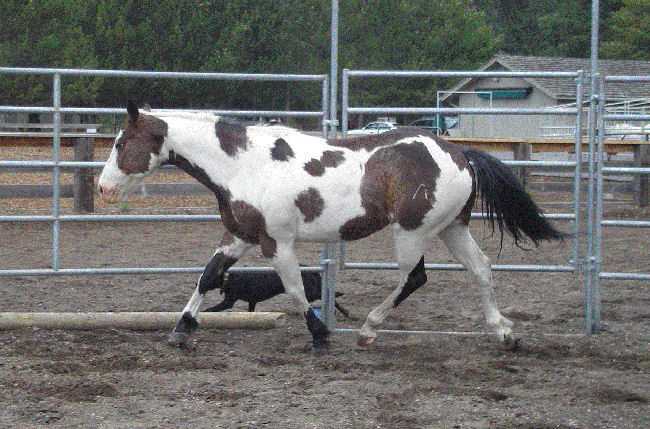 Dark Brown/ White/ Gelding. 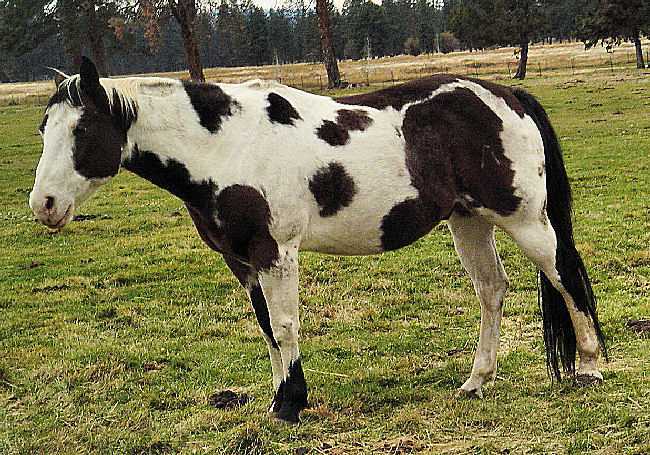 Paint APHA #248983. Calm, sweet, and really, really neat ! 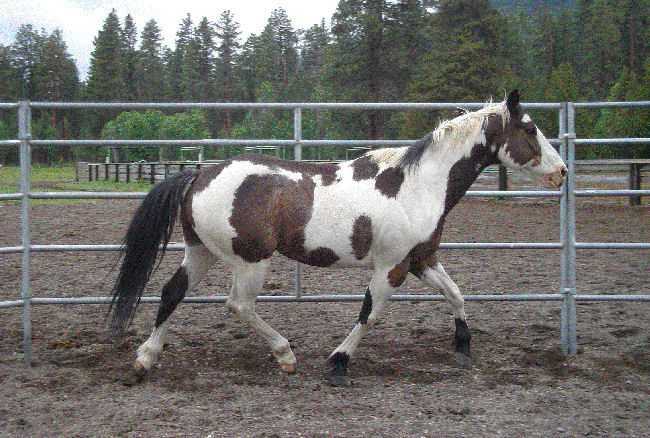 He is a deluxe trail horse for youth or small adults. Paladin is a bomb proof seasoned veteran of the trails. Have saddle will travel ! He is kind in every way; a perfect family horse. P.S. Don't let him eat your daisies ! Reg. name is "SAM TO BE". Sire is "Bound to Be" - out of "Merle Haggard". Dam is "Juleo" - out of "Ebony Hatchetman".